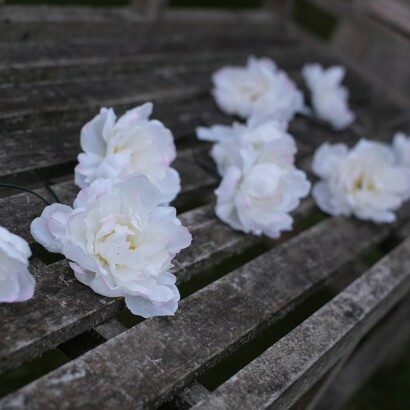 Ten delicate white roses are tipped with pink and lit by white LED's to make a pretty garden lighting feature. 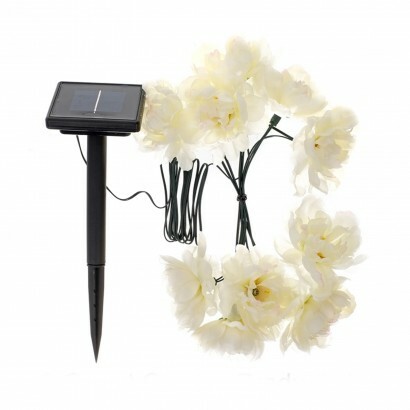 Solar powered, place the solar panel where it will receive maximum exposure to sunlight whilst there's enough lead to be able to decorate trellises, patios, parasols and shrubs for a magical feel. 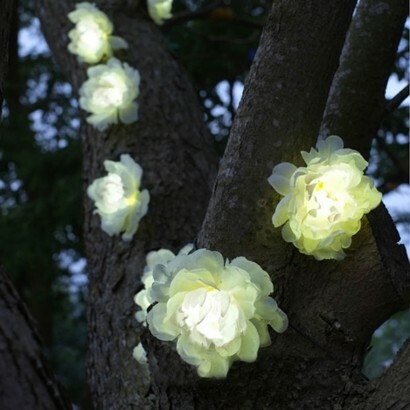 Perfect mood lighting for lazy summer evenings, Solar Rose Stringlights sense darkness and automatically turn on at night so that all you need to do is place them and enjoy.